I realized I've been collecting oodles of pictures of food, and not sharing them! Some of the homemade dishes The Boy and I have made turned out to be incredibly scrumptious. It would be criminal not to pass on the recipes we've found online. If my memory continues to serve me well, I will do food updates with personal images, and also a link to the special recipe that caused a mouth party. Enjoy! Comment: This tart involved three separate activities; making the crust, making raspberry jam, and making the chocolate ganache. I suggest you buy a ton of raspberries and store some leftover jam for toast & any breakfast goodies the next morning. 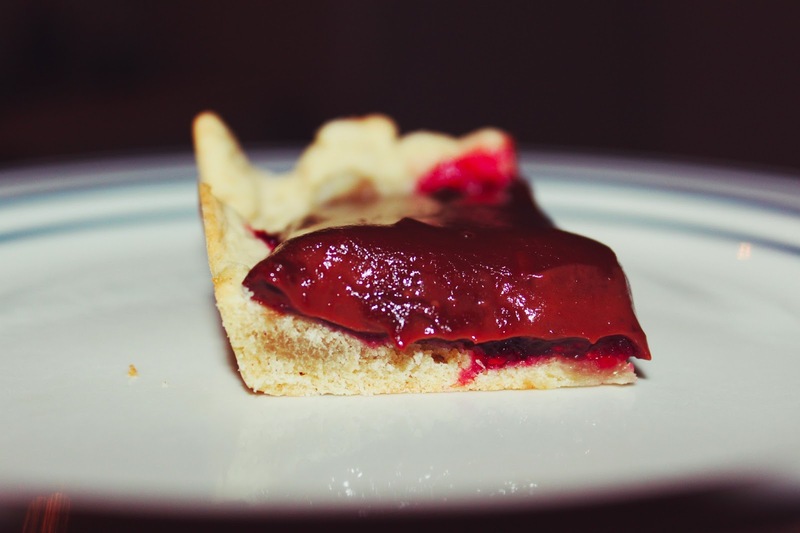 I was obsessed with how easy and delicious it was to make my own jam from scratch. The rest of the recipe was a disaster! I think the ingredient amounts were off because lots of people had issues too. Comment: You don't need to use bacon if you don't want to, but it adds a delicious taste. For a healthier version drain the bacon grease before adding the sauce to the skillet, or eliminate the bacon all together and also use whole wheat penne. If I was told I could eat only one thing for the rest of my life, it would be this dish. 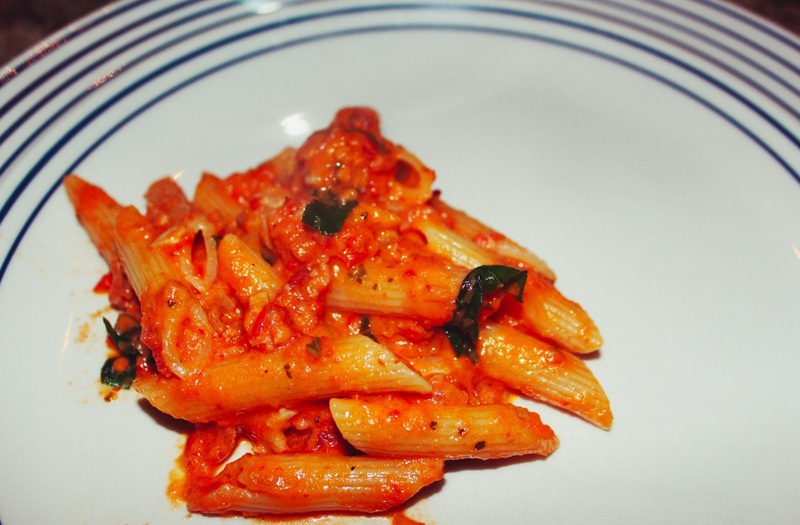 It turned out exactly like my favorite pasta at John's Italian Café in Toronto. Also, we substituted the vodka with zinfandel, and it worked beautifully. Link me up with some of your favorite recipes so I can test them out! oh man, i want to make that linzer tart. YUM. That looks so yummy. You really made me hungry. Cake and pasta are my fav foods. OMG the pie seems delicious!